The keto diet is widely known as one of the most successful dietary strategies for rapid weight loss. After browsing through keto weight loss success stories, you’ll quickly be convinced that keto may be the diet for you. 50 pounds, 80 pounds, and even over 100 pounds have all been lost with this simple dietary change, and there is plenty of free information, meal plans, and recipes that’ll help you do the same – in the short-term. However, the guidance available for long-term keto dieting is scarce. What should do after you meet your health and weight loss goals? Should you keto on or increase your carb intake? Should you go back to your old way of eating or cycle on and off the keto diet every few months? To find out how to maintain your results for the long-term, let’s take a look through the research and the strategies that others have used successfully. With the help of that information, you will be able to develop your own individual approach that will help optimize health and sustain your weight loss results for life. Is the Keto Diet Healthy for Long-Term Dieting? Before we decide if we should keto on or move on, it’s important to find out if the keto diet is a healthy long-term diet option for most people. Unfortunately, assessing the healthiness of a specific diet for longer than a couple of years is very difficult to do with research. The only high-quality evidence I could find for the long-term health effects of a keto diet is from one 12-month trial. As a result of the study, the researchers found that overweight adults with elevated A1c that were assigned to a keto diet experienced more significant reductions in A1c, lost more weight, and decreased their medications more than those instructed to follow a moderate-carbohydrate, calorie-restricted, low-fat diet. For info on the health effects of keto for longer than one year, we must look to success stories and case studies, which show a plethora of people that have stayed on keto for a few years to decades without any health issues. On the other hand, there are also plenty of people who have tried keto, and just couldn’t stay with it (usually because it was too restrictive or unhealthy for them). Although you can make many different conclusions from the current research data and success stories, I think that the most reasonable dietary approach is one that is formulated to meet the needs of that individual. In other words, your decision to stay with the keto diet or adopt another strategy should be informed by four key variables (that vary between individuals). How it changes your body composition. If you aren’t getting the results you want, you need to switch things up. When it comes to losing weight, you will have to make changes that help you maintain a calorie deficit until you meet your goals. If it meets your needs for vitamins, minerals, and other nutrients. It is crucial that your diet provides you with the micronutrients you need to maintain optimal health and stave off disease. 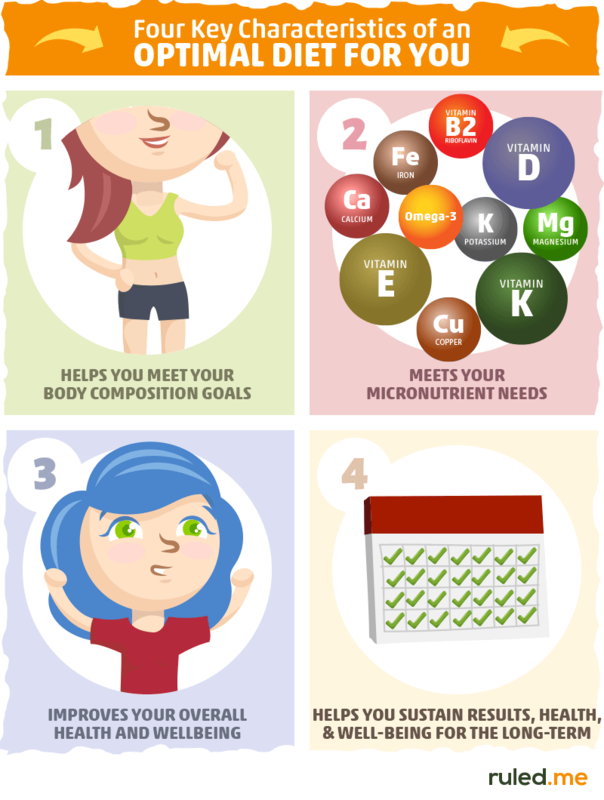 Although you can lose weight without meeting your micronutrient needs, you will not feel your best while doing so. How it affects your overall health and wellbeing. A healthy diet will make you feel better than before and “healthy” while it optimizes objective health measures like your body composition and blood work. If your diet is impairing your quality of life and causing an unnecessary amount of stress and suffering, then you should make adjusts to your approach. With that being said, even if you feel great, your blood tests can still indicate that you are worsening your health. This is why it is essential to track your subjective experience as well as objective results such as your weight, waist circumference, blood sugar, cholesterol levels, etc. If it provides you with a healthy dietary approach you can follow for the long-term. Any diet can provide you with short-term results, but will it help you maintain your body and health transformation indefinitely? The best diet is a diet that completely replaces your previous way of eating while it meets the other three criteria on this list. If you can’t envision yourself sticking to the diet for the long-term and you are struggling to follow it in the short term, then you will probably rebound to your old habits and gain the weight back. If your diet doesn’t stand up to the scrutiny of these four factors — regardless of how much you restrict carbs — your health will suffer in some way or another, mentally, physically, and/or emotionally. This is why it is crucial to consider each one of these variables before jumping into the next diet plan. Just because one diet plan promises optimal fat loss doesn’t mean you can’t get similar results with another diet. The truth is that it is relatively easy to lose weight. What most of us struggle with is keeping the weight off. Fortunately, by using the four key variables to guide you in your dietary decision making, you can greatly increase your chances of maintaining your weight loss results for decades and decades to come. To illustrate what I mean, let’s take a look at how we can use the keto diet (and its many variations) to keep the weight off and optimize your health after you’ve met your goals. Just a quick search for “how to lose weight on keto” will land you dozens of articles with helpful advice, but most of them neglect the one issue that most dieters struggle with: keeping the weight off. The bitter truth is that our food environment and subconscious habits will always prevail in the long run, causing us to gain most of the weight back. The current research indicates that only around 20% of overweight individuals are successful at long-term weight loss (which is defined as losing at least 10% of initial body weight and maintaining the loss for at least one year). In other words, the real issue that we should be focusing on regarding weight loss is what happens after we lose it. Anyone can lose weight quickly by following a diet plan, but what happens when we’ve faithfully followed it to the end? Step 1: Achieve your weight loss goals in a healthy, sustainable way. Step 2: Turn your short-term diet into your long-term lifestyle. Step 3: Assess your results regularly to determine if you should make adjustments. The seeds for weight loss maintenance and optimal health are sown when you first start the keto diet. During the first couple of months, your motivation will be like the fertilizer that helps you grow closer to your goals. However, when we rely on the fertilizer of motivation by itself, our results and overall health will have no fertile soil to sustain them as long as possible. In this metaphor, the fertile soil represents the underlying purpose behind your body transformation, your food environment, your current lifestyle/habits, and social support. Once the fertilizer of motivation wears away, you must rely on the soil you planted your results in. If your lifestyle/habits, food environment, social circle, and underlying purpose don’t support your weight loss goals, then your results will most likely wither away as time passes. This is why it is important to think several months to years into the future while you are trying a diet like the keto diet. There is a seemingly endless amount of strategies you can use to lose weight, but what strategy will allow you to lose weight, improve your overall health, and maintain your results for as long as possible? What dietary approach can you turn into your long-term lifestyle given your current food environment, habits, lifestyle, social circle, and purpose? Keto dieters tend to thrive on their new diet and turn it into their long-term lifestyle when their food environment, habits, family/friends, and purpose all support the changes they are trying to make in some way. In other words, the key to getting and sustaining your results is making the diet as simple and easy to follow as possible even when your motivation runs out (we will take a closer look at how to do this in step 2). Don’t forget, however, to consider your overall health. Just because you are able to lose weight on a specific diet doesn’t mean that it is also healthy for you. The Keto Diet and Its Short-term Health Effects: Is it Good for Your Health? By overall health, I mean how the keto diet affects important biomarkers and any existing conditions you may have. For the most part, the research literature on the benefits of cutting carbs and being in ketosis is promising and convincing. For example, triglycerides, cholesterol, blood sugar, A1c, and blood pressure have all been found to improve significantly as a result of cutting the carbs (for most people). So, if you have one of these conditions or are looking to improve the biomarkers above, then keto may be a healthy option for you. However, it is also possible for keto to send your health in a negative direction. The only way to truly know if the keto diet is objectively healthy for you is by getting the appropriate blood testing (and other forms of objective testing relevant to your condition) done after following the diet for at least a month. If your results are good in the short-term, it may be best to follow up every 3-6 months to make sure your results are trending in the right direction or staying within healthy ranges. With our overall health in mind, let’s finish step #1 to long-term keto results by focusing on one of the main reasons that make people want to go keto: weight loss. Although weight loss may be the primary goal for you, it is crucial that you take the previous two topics into consideration (i.e., turning your short-term diet into a long-term lifestyle and testing important health biomarkers). If they are ignored, then the weight you lose will most likely be short-lived. Maintain a calorie deficit of 35% or lower. By eating fewer calories than your body needs to maintain its weight (i.e., sustaining a calorie deficit), you will lose weight. However, if your calorie deficit is above 35%, you will increase your likelihood of experiencing more hunger, slowing your metabolic rate, and regaining the weight you lost when you aren’t dieting. Lose weight at a rate of 1 to 2 pounds per week. The current research indicates that this may be the gold standard rate for healthy weight loss. This is because it increases the chances that you will be able to keep the weight off for the long-term without fighting against cravings and hunger. Eat enough protein. Even if you are not lifting weights, eating the right amount of protein is crucial to your keto diet success. When you meet your protein needs, you will reduce your hunger levels, burn more calories, and help preserve muscle mass, all of which will help you lose more weight while looking and feeling healthier. To help you figure out how much protein you should be eating, use our keto calculator. For short- and long-term diet success, it is best to apply the above weight loss principles in a way that helps you helps you stick to your diet and optimize important biomarkers indefinitely. Giving us simple diet rules to follow that are easy for many to stick to. Increasing our intake of protein-rich, highly-satiating foods that help us eat fewer calories, meet our protein needs, and increase weight loss. Improving various biomarkers for people who aren’t affected negatively by the diet. When it is adopted by the right person, keto can be highly effective, and the principles behind step 1 give us a pretty accurate representation of why this is the case. Fortunately, this also means that if the keto diet isn’t healthy, effective, or sustainable for you, then you can use the exact same concepts you learn about throughout this article to formulate a diet that works better for you. However, regardless of what diet works best for you in the short-term, it’ll be difficult maintain those results unless you start converting it into your long-term lifestyle. We will cover this key concept in step 2. We briefly went over the many aspects that are crucial for long-term diet success, and they have little to do with how motivated you are or what diet you follow. In fact, the key to keeping the weight off is adopting a healthier lifestyle in general, not by following the next diet fad or popular diet plan. Let’s take a closer look at each one and what you can do to harness their power for optimal long-term results. We are emotionally driven creatures, and food is one of our most potent emotional drivers. What we smell and see can trigger cravings and desires that would have never occurred to us if it weren’t for that deviously placed cookie in the break room. Your food environment, from your kitchen to your work place and everything in between, is always nudging you toward certain food decisions. Unfortunately, most of our food environments are influencing us to make many more unhealthy choices than choices that help us stay healthy. The key to avoiding these poor food decisions is not to rely on willpower alone. There will be times when that donut, cookie, milkshake, etc. is so tantalizing that it will end up in your mouth. Instead, we must use the power of our food environment to nudge us toward making healthier decisions. In other words, you will be influencing both the subconscious and conscious aspects of your mind to help you make healthy choices and sustain your weight loss results for life. Remove all unhealthy, processed foods from your home. If you can’t remove all unhealthy foods from your home, put them in a place that is hard to see and access easily. Put all fresh produce and other healthy food choices in easy-to-see places. Reduce your portion sizes and/or plate sizes. Plan your meals ahead of time and stick to your shopping list. Research restaurants for healthy options and plan your order before you go. Bring your own to-go container to restaurants so you can wrap up a portion of your meal for leftovers before you eat it. Prep to-go meals ahead of time so you don’t have to rely on what’s available at work or on your road trip. These may seem like silly little tasks at first, but simple changes like these will have a HUGE impact on your results as your healthy choices accumulate. They are also the easiest changes you can make to transform your current lifestyle into a healthy lifestyle. Developing your current lifestyle took time and effort. Trying to force a new way of eating into that lifestyle is going to be difficult. Although it is possible to stick to a diet and get results for a few months, your lifestyle will prevail in the long run. This is why you must address your lifestyle as a whole and how it influences your health and weight before you jump into another diet. Your work schedule, how much you travel, family life, physical activity levels, and many other factors may all be potential road blocks to your long-term diet success. Addressing these lifestyle factors in the context of your diet and overall health is what will help you convert your new way of eating into a long-term lifestyle. Project your diet changes into the future and figure out how you can address any potential road blocks. How can you maintain your results while you travel? What can you do to stay healthy despite your crazy work schedule? How can you establish healthy habits while supporting your family? Use the information throughout this article to help guide you in the right direction, and slowly make changes to your lifestyle that will help you stay healthy. Making substantial changes to your diet is difficult, especially if you are doing it alone. Having people there for us, supporting our changes and giving us helpful advice is the one thing that can keep us from giving up when we are struggling. Fortunately, there are several active keto diet groups on Facebook and keto diet forums online that you can join if you need help with keto in anyway. We host a keto lifestyle group on Facebook that you can join by clicking the link. The group has over 26,000 members supporting each other on their keto journeys. But don’t forget about the people that are closest to you. Make sure you communicate your goals and lifestyle changes to your friends and family as well. Help them understand what you want to do and how you are going to achieve it. Don’t be afraid to speak up and be clear as to the lifestyle and body you want to create for yourself. You may inspire them to make their own healthy changes as well. Even if your food environment, lifestyle, and loved ones are all supporting you and nudging you in the right direction, losing weight and improving your health can still be difficult at times. There will be days when you are struggling to find hope, moments when those free donuts seem irresistible, hours of wondering why you can’t lose weight faster. This is when you need to remind yourself of why you decided to embark on your weight loss journey. If you have a strong enough purpose for your transformation, then giving up just won’t be an option. To help you establish the “why” behind your weight loss goals, think about what your health/body transformation will do for you. How will it improve your life? What will happen with your current and future relationships? What about your future family life, children, and grandchildren? Keep digging deeper within yourself and find the ultimate outcomes that impact you the most. Remind yourself of the purpose behind your lifestyle changes every day, especially when you are struggling to find motivation. Your “why” will help you stay true to your goals, regardless of what life throws your way. Your food environment. Make changes to your home, car, workplace, and travel bag that help you make better food choices and avoid unhealthy ones. Your current lifestyle. Turn your current lifestyle into a healthier one by making small, incremental changes that you can easily turn into new habits. Social support. Friends, family, and online keto groups can help you stay true to your goals and support you with your diet and lifestyle changes. The underlying purpose behind your goals. Always keep your “why” in mind, especially when times are tough. Uncover the underlying purpose that is inspiring your body and health transformation and use it to your advantage. This is, by far, the easiest step. All you have to do is track your progress after implementing steps 1 and 2 and make adjustments if necessary. How you feel with your diet and lifestyle changes. If the changes you are making are not improving your sense of well-being and energy levels after a month, then you may need to adjust your diet and lifestyle. For example, after a few weeks of keto dieting, you should be starting to feel better with more energy and mental clarity than before you started the diet. If this isn’t the case for you and keto makes you feel worse than before, then you may benefit from increasing your carb intake from plant foods and following a less-restrictive low-carb diet. The changes in your body composition. Waist circumference, body weight, and how you look in the mirror are simple and effective indicators for how your body is transforming. Tracking them every day, however, will be more discouraging than helpful. A better strategy is to assess each variable once a month. Your monthly results will show you if you should decrease your calories a bit more (to boost weight loss), if you should increase calories (to slow weight loss), or if you are on the right track and should keep doing what you’ve been doing. Relevant biomarkers. Even if you feel great and are losing plenty of fat, this doesn’t mean your diet is good for your overall health. This is why you should also be getting blood testing done every month or so. Cholesterol, triglycerides, blood sugar levels, A1C, and other biomarkers relevant to your health condition give us a better picture of how the keto diet is affecting your health. If the keto diet is sending your bloodwork or other measurements in the wrong direction, then you may want to consider a higher carb, lower fat diet like the Paleo diet or the Mediterranean diet. To legitimately verify that you are on the keto diet and experiencing the benefits of ketosis to the fullest, you must check your ketone levels in some way. To read more about measuring ketosis and ketones, click here. Is keto healthy and safe for me? 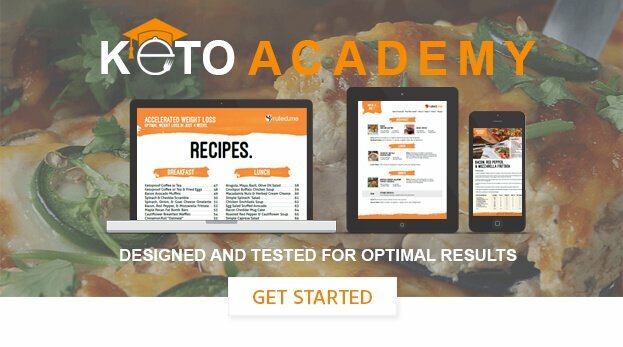 Is my approach to keto helping me maintain my health and weight loss results? How Often Should You Assess Your Results? For the first 3-6 months of following your personalized keto diet and lifestyle, I recommend checking these variables once a month (except for ketosis, which you may want to check during the first couple of weeks, then just stick to the carb limit that kept you in ketosis). Use the information you get from tracking these variables to find out if you need to make any more changes. After you’ve reached your goals and verified that your overall health is doing well, you no longer have to religiously track these variables unless you make significant changes to your diet or lifestyle again. To maintain your weight loss results, simply continue following the diet and lifestyle that got you to those results. If you are losing too much weight or starting to gain weight back, consider using our keto calculator to help you establish a baseline of how much you should be eating. Don’t assume that your new diet and lifestyle changes are healthy and effective for you. To ensure that you are on the right track with your keto diet, you must be mindful of your results from multiple angles. And to verify if you are in ketosis (i.e., following the keto diet properly), make sure that you are tracking your ketone levels in some way during your first few weeks of keto dieting. Once you’ve reached your goals, you can fall back on the healthy keto diet and lifestyle you created for yourself during the process of following these three steps. What Should You Do if the Keto Diet is Not Sustainable, Healthy, or Effective for You? After trying to follow the keto diet, you may find that it isn’t ideal for you. Fortunately, there are plenty of other diet strategies that can be just as effective. Decrease your fat intake and increase your carb intake by eating more starchy vegetables and fruits until your health and well-being improves. Implement the food environment flipping strategies from step #1. Cut out processed foods and eat mostly fresh produce, meat, fish, eggs, and dairy. Set macronutrient intake limits based on your goals and measure/track your food consumption. Follow a less restrictive low-carb diet. Try incorporating intermittent fasting, fasting, and/or fast mimicking diets into your lifestyle. Cycle on and off a standard keto diet with one the previously listed diets every few months (depending on your lifestyle and health). As long as you apply the principles we talked about in each step throughout this article, you will be able to get the results you want with or without keto. For a quick refresher on these long-term weight loss principles, read through the next section. It helps you meet your body composition goals. You can formulate it in a way that meets your micronutrient needs. It improves your overall health and wellbeing. It provides you with a dietary approach you can use to sustain your results, health, and well-being for the long-term. Achieve your weight loss goals in a healthy, sustainable way. Losing weight in a healthy way will set the stage for sustainable results. To do this, you will have to (1) maintain a calorie deficit of 35% or lower, (2) eat enough protein, (3) optimize your health by eating micronutrient-dense foods, and (4) follow the next two steps. Turn your short-term diet into your long-term lifestyle. To create a healthy lifestyle that supports optimal health and body composition, you must (1) flip your food environment, (2) make small, incremental changes to your current lifestyle, (3) elicit the help of social support, and (4) use the underlying purpose behind your goals to get you through tough times. Assess your results regularly to determine if you should make adjustments. Keep track of your subjective well-being, your body composition, and the biomarkers relevant to your goals and current health condition. These factors will provide the information you need to figure out if you should stay with the keto diet or implement the previous two steps using a different dietary strategy. Once you’ve reached your goals, you can fall back on the healthy diet and lifestyle you created for yourself during the process of following these three steps.